The name Salman Khan sparks several images: his reluctance to wear shirts, his sculpted chest, his frequent run-ins with the law, his gorgeous ex-girlfriends, his good looks (voted by People magazine in 2004 as the 7th most good looking man in the world and the first in India), and his unquestionable status as one of three reigning Khans of Bollywood. Salman Khan was born on 27 December 1965 in Indore, Madhya Pradesh to Salma Khan and Salim Khan, a screenwriter who has to his credit several successful films like Sholay, Deewar, and Don. His step-mother is Helen, an actress and dancer famous for her blonde wigs and shimmies. He has two brothers Arbaaz and Sahil, who have also worked in Bollywood and two sisters Alvira and Arpita. His sister Alvira is married to Atul Agnihotri who was an actor before taking on the role of a director. Salman has dated some of the prettiest faces of Bollywood like Somy Ali, Sangeeta Bijlani and Aishwarya Rai. His current partner is Katrina Kaif. He played a supporting role in the film Biwi Ho Tho Aisi released in 1988. It was followed by the extremely successful 1989 hit, Maine Pyaar Kiya, winning him the Filmfare Best Debut Award. This was followed by a string of films like Bhaaghi, Sanam Bewafa, Pathar Ke Phool, and Saajan, which did very well at the box office. The films released in 1992 and 1993 were pretty average. He came back to the top of the charts with his films Andaz Apna Apna with Aamir Khan and the opulent family drama Hum Aapke Hai Kaun opposite Madhuri Dixit, which is considered to be one of the biggest blockbusters of Bollywood. He played the role of Arjun in Karan Arjun with Shah Rukh Khan in 1995. Khamoshi-The Musical was the best of his 1996 films and was critically acclaimed. 1997 was again a bleak year for Salman. He made up for it in 1998 with Pyaar Kiya Tho Darna Kya with Kajol and his appearance in the hit Kuch Kuch Hota Hai as Aman, which won him the Filmfare Best Supporting Actor award. In 1999, he co-starred with Karishma Kapoor in the hit comedy Biwi No.1. He starred with Aishwarya Rai and Ajay Devgan in the love story Hum Dil De Chuke Sanam which made waves in India and overseas. The film Hello Brother carried a family tag on it as he starred alongside his brother Arbaaz Khan and it was directed by his brother Sahil Khan. Salman continued to churn out several films. Some did fairly well like Har Dil Jo Pyaar Karega in 2000 and Chori Chori Chupke Chupke in 2001, both films in which he worked with Rani Mukherji and Preity Zinta. None of his movies that came out in 2002 worked well. He made up for it with Tere Naam in 2003 that not only did well at the box office but his performance was appreciated widely. He played the role of an AIDS patient in Phir Milenge that came out in 2004. The World Health Organisation commended the film for its portrayal of AIDS. Mujhse Shaadi Karoge in 2004, Maine Pyaar Kyun Kiya? in 2005 and funnies like No Entry in 2005 and Partner in 2007 kept his fans hooked. 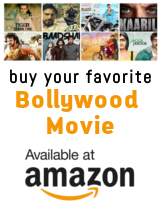 His Hollywood venture with Ali Larter, Marigold: An Adventure in India flopped. He took over from Jim Carrey in God Tussi Great Ho in 2008, based on the Hollywood comedy, Bruce Almighty. He put in an appearance in Hello, which is adapted from Chetan Bhagat?s book, One Night at a Call Center. Salman Khan worked with Katrina in Yuvvraj but the movie didn?t work at the box office. In 2009, he continued to host the television show, 10 Ka Dum. His performance in Wanted, a remake of Pokkiri, was praised. However, Main Aur Mrs Khanna and London Dreams failed to make a strong impact.